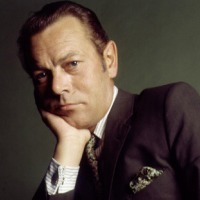 Bert Kaempfert (born Berthold Kämpfert; 16 October 1923 – 21 June 1980) was a German orchestra leader and songwriter. He made easy listening and jazz-oriented records, and wrote the music for a number of well-known songs, such as "Strangers in the Night" and "Spanish Eyes". He was born in Hamburg, Germany - where he received his lifelong nickname, Fips - and studied at the School of Music there. A multi-instrumentalist, he was hired by Hans Busch to play with his orchestra before serving as a bandsman in the German Navy during World War II. He later formed his own big band, toured with them, then worked as an arranger and producer, making hit records with Freddy Quinn and Ivo Robić. In 1961, he hired The Beatles to back Tony Sheridan for an album called My Bonnie. The album and its singles, released by Polydor, were the Beatles' first commercially released recordings.